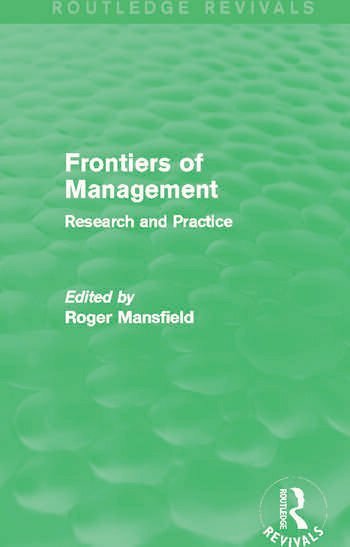 This edited collection, first published in 1989, stems from the second annual meeting the British Academy of Management, held at Cardiff Business School in 1988. With the focus on important areas of change affecting management practice and theory – in markets, technology and organizational structure - this volume contains a selection of material presented at the conference by leading scholars in the field. Their contributions provide multi-disciplinary views of organizational strategy, across a wide spectrum of business and industry, which will be of significant interest to any students of business structure and management.